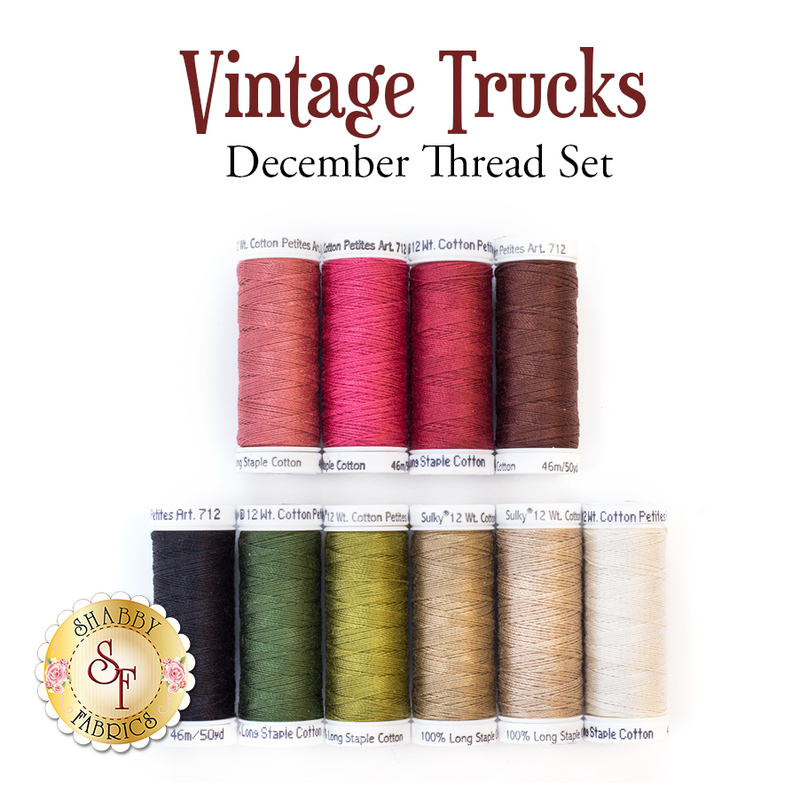 The Vintage Trucks December Kit transports us to the country for Christmas where time slows down and hearts are warm as they bundle up near the hearth! 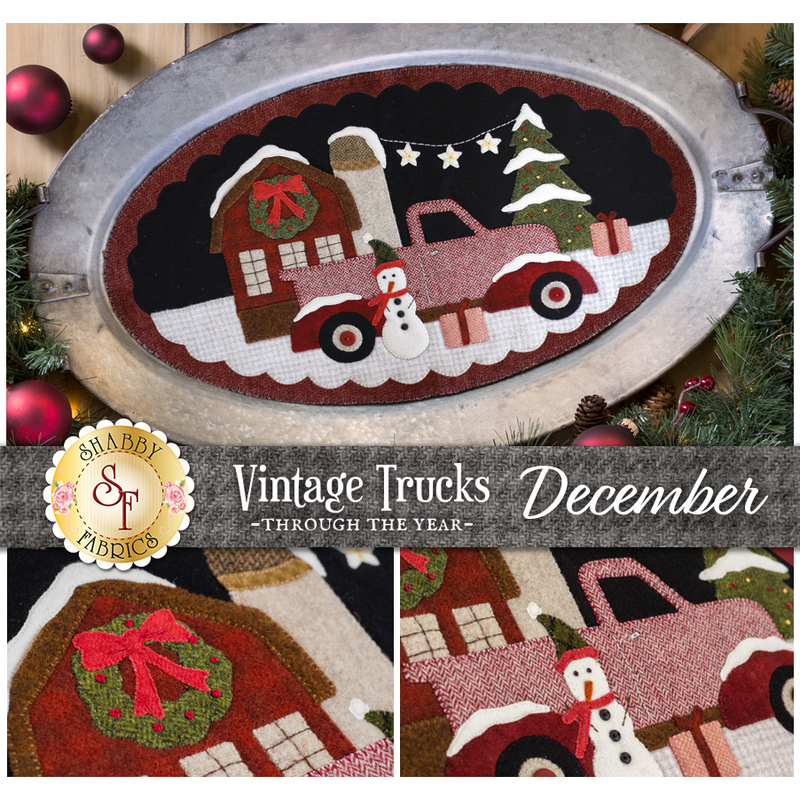 Vintage Trucks December is one in a series of beautiful 100% wool appliqué kits, designed by Buttermilk Basin and recolored by Jennifer Bosworth. 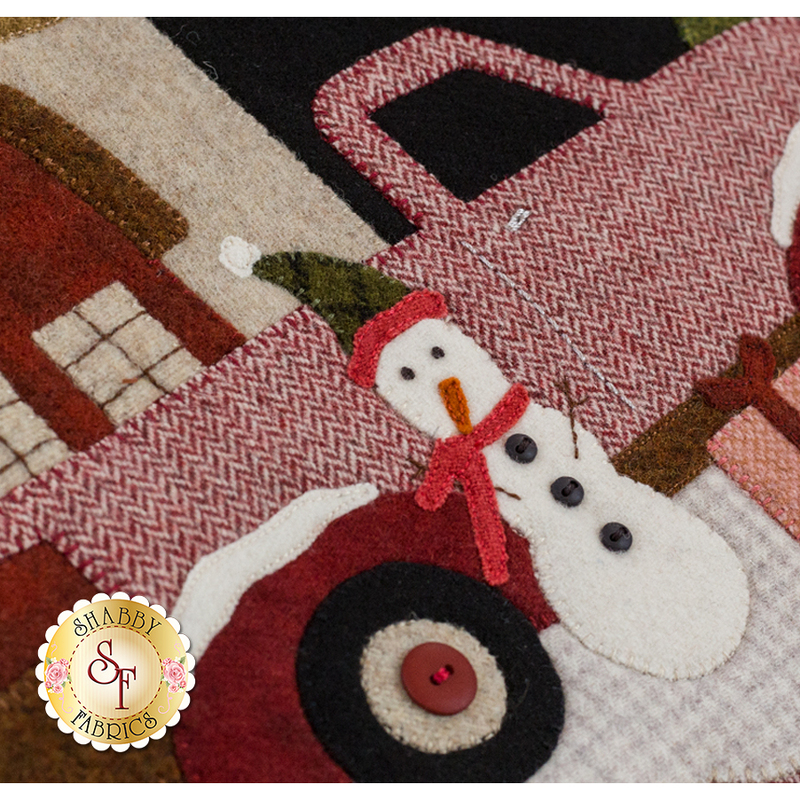 Each oval mat features a unique design for the month, made with 100% wool.